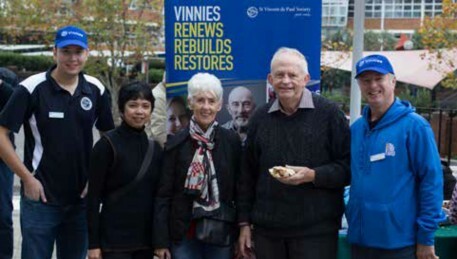 Members and supporters of the St Vincent de Paul Society invite you to join us when we take part in Palm Sunday rallies across Australia on Sunday April 14. 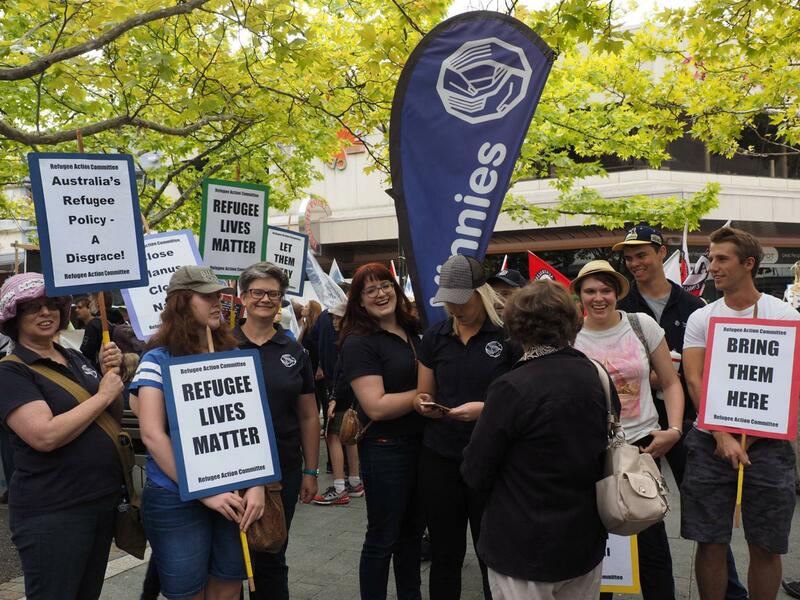 In the run up to the federal election, a large and vibrant turn out for Palm Sunday 2019 will send a clear message to the prospective Government and wider community that Australia must adopt an alternative approach to those fleeing persecution and war – an approach based on fairness, compassion and respect. 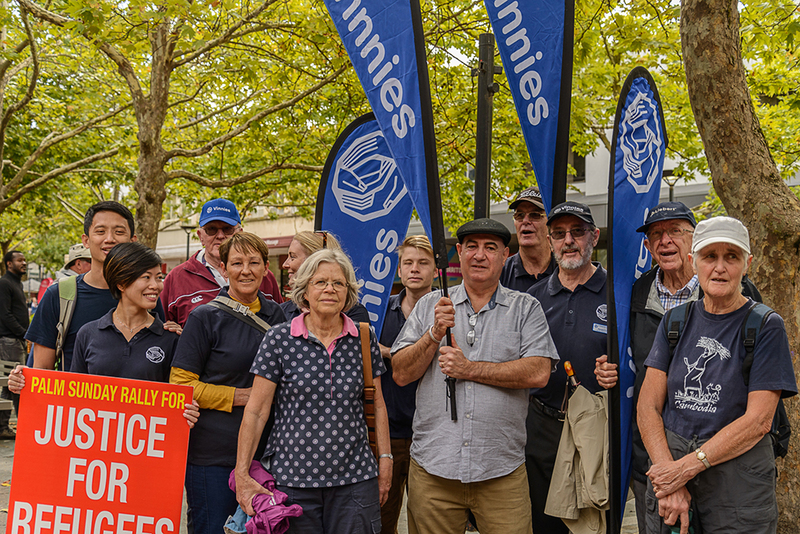 We encourage members and supporters to join their local Palm Sunday Walk for Justice and help deliver the message to all politicians that we want a fair society that welcomes refugees. Find the nearest event and turn up on the day. See a list of event details below (or, for an interactive map showing the event nearest to you, visit the CAPSA website here). Check out the Toolkit for Refugee Action put together by the Catholic Alliance for People Seeking Asylum (CAPSA), which provides a range of resources and suggested advocacy activities. Where: Forster Main Baths then a walk via footpaths across the bridge to Tuncurry to the park for a 30 minute where a silent vigil will take place. Where: Princes Square (for Picnic); walk from Prices Square via Brisbane St Mall to City Park. Wet weather arrangements: 2pm in Milton Hall, 13 Frederick Street, over the road from Princes Square. 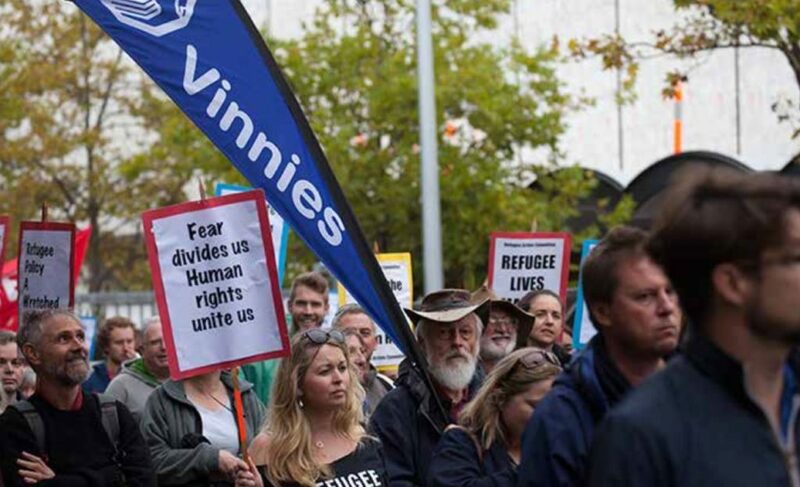 The Society is deeply troubled by the ongoing injustices experienced by those seeking asylum in Australia, including the intolerable conditions that refugees on Nauru and Manus Island continue to endure, and the 30,000 refugees and asylum seekers who live in limbo in the Australian community on bridging visas or other temporary visas. In a climate of rising racism, racial intolerance and xenophobia - both in Australia and abroad - it is vital we send a clear message of compassion, hope and respect. It took over five years, but almost all children are now off Nauru. This is a result of the pressure of the refugee movement on the politicians who said they would never come here. But we now need to ensure everyone remaining on Manus and Nauru is treated with dignity, and that their health needs are met and they are promptly able to resettle in a safe and appropriate third country. While over 850 remain on Manus and Nauru, there are now over 600 refugees from Manus and Nauru who have remained in Australia due to legal action and political pressure ever since 2016’s Let Them Stay campaign. The government has not dared to send them back. However, they remain in limbo without permanent visas, so that adults are unable to work or study. The government needs to welcome all refugees and provide fair processing and a secure future. For other asylum seekers living in the Australian community, life continues to be tough as people are denied access to essential services and long-term security. Changes to the Status Resolution Support Services (SRSS) program are pushing more and more asylum seekers into deeper poverty and hardship due to a loss of basic financial support. Against this backdrop, and with a Federal Election just around the corner, it is as important as ever that we gather and express solidarity alongside those who have fled persecution or conflict yet continue to experience injustice. Read the article here about Pope Francis' repeated calls to welcome refugees and his advocacy against the 'globalisation of indifference'.